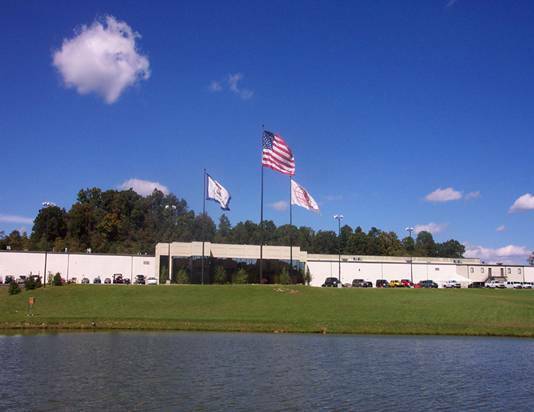 Smith Services, a Timken brand, is one of the largest independent service organizations in the United States. 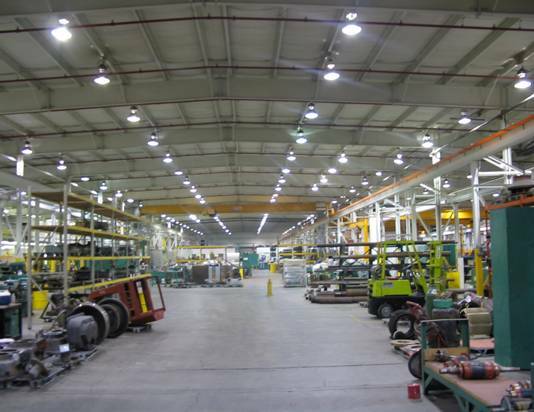 We provide a diversity of services and supply options to our customers, both in-house and in the field. 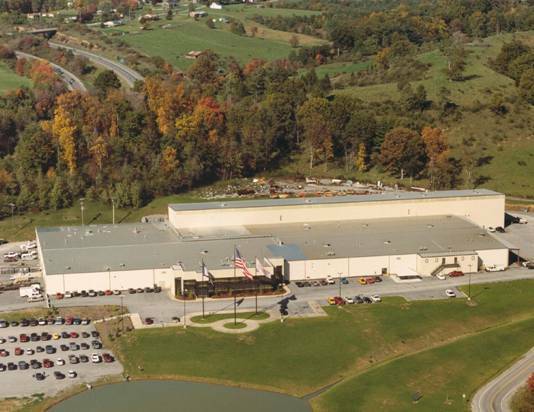 Princeton, WV Facility. 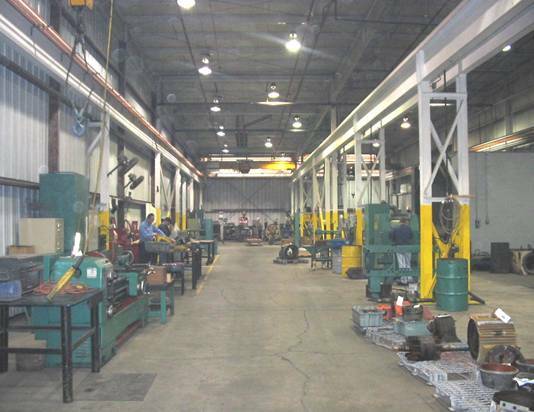 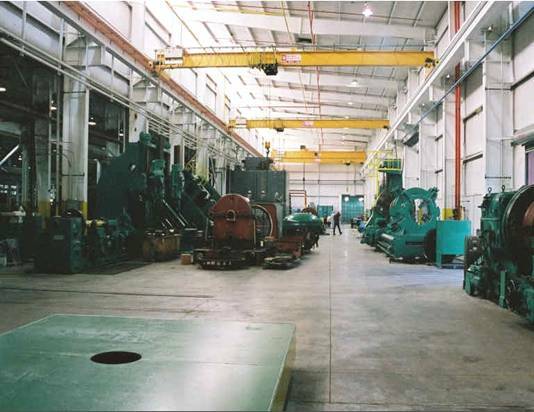 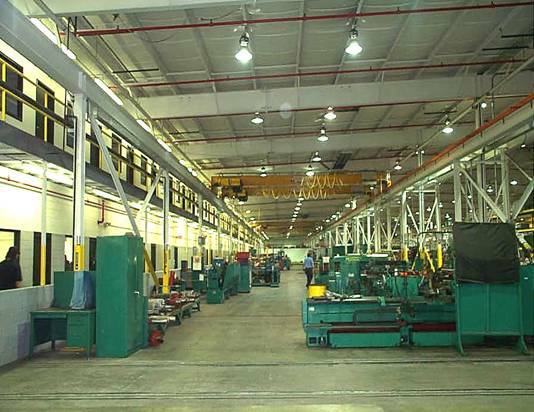 With 180,000 square feet, Smith Services is the largest independent electric motor repair facility under one roof in the United States. 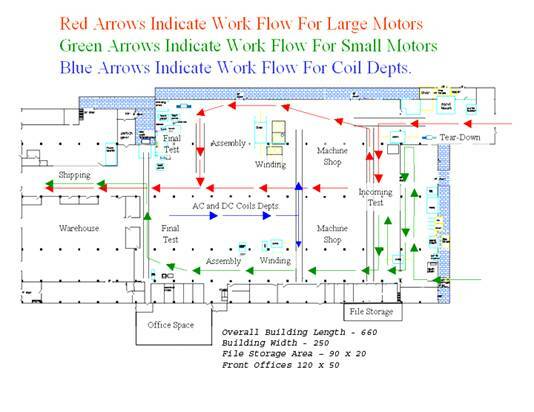 Enhanced Work Flow! 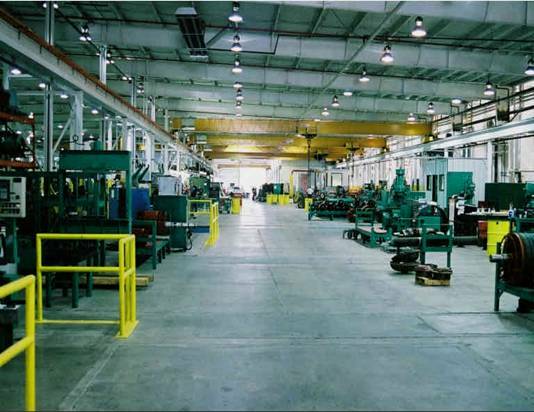 The Result of a Study Conducted by the Experts at West Virginia University. 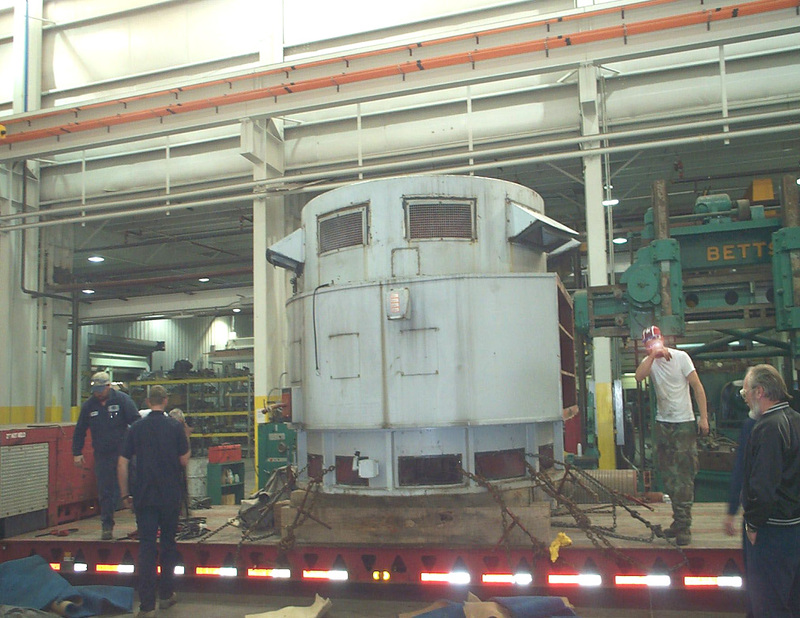 Smith Services' workforce removes a vertical pump motor from incoming trailer. 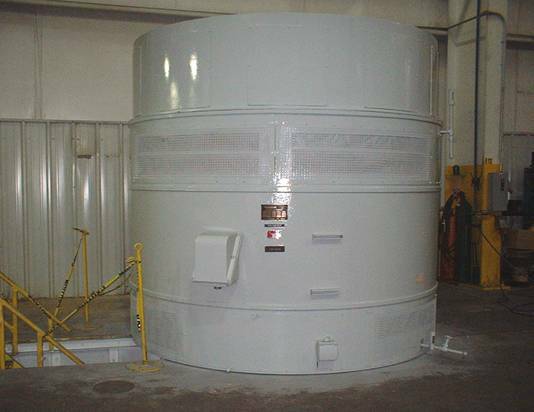 12-Foot Char Oven. 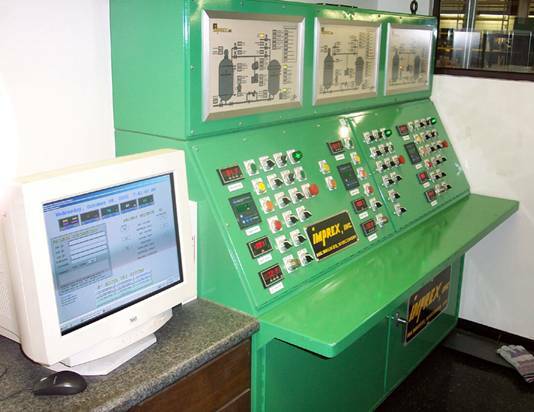 This oven is equipped with Dual-Channel Chart Recorders. 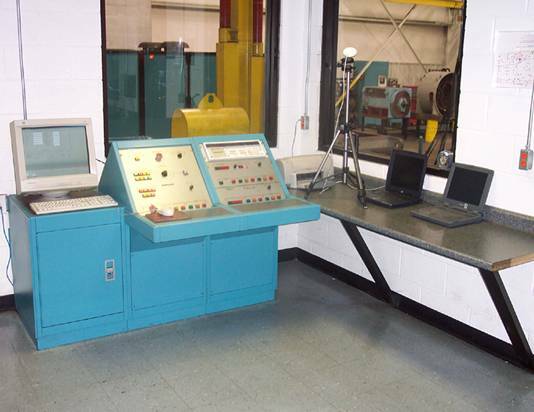 All of our ovens are calibrated annually. 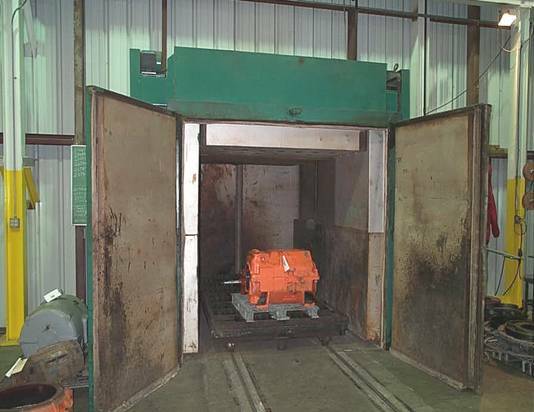 Six-Foot Drying Oven. 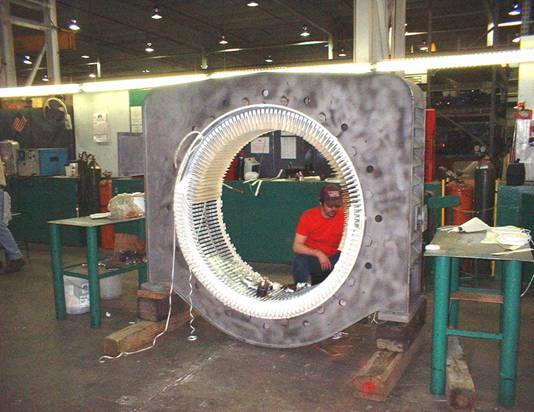 This oven is used in our small motor disassembly. 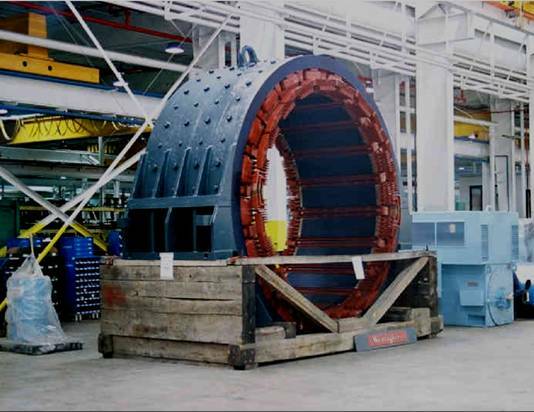 After stators are washed, they are dried here. 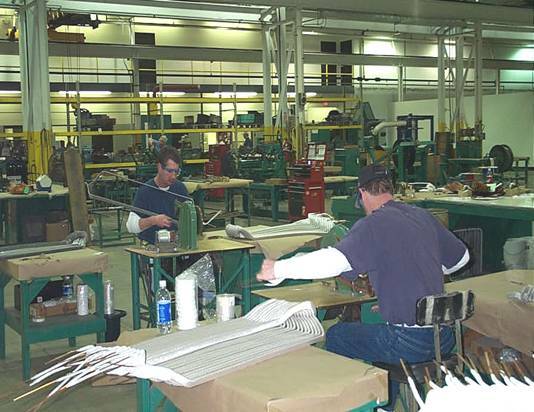 Having doors on both the front and back maximizes production work flow. 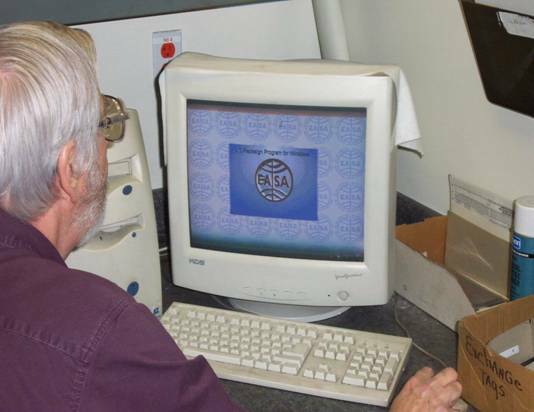 Incoming Test Center. 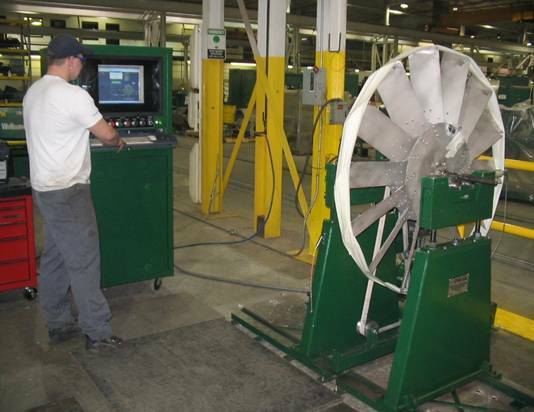 Incoming diagnostic-testing is performed prior to creating repair estimate. 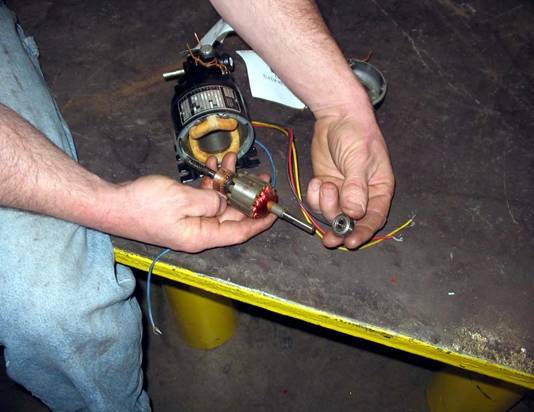 Babbitt Bearing Repair. 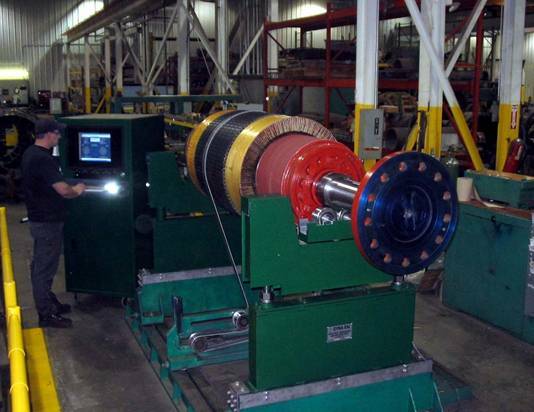 Spin Casting or Static Pouring with UT Testing for Bond Strength. 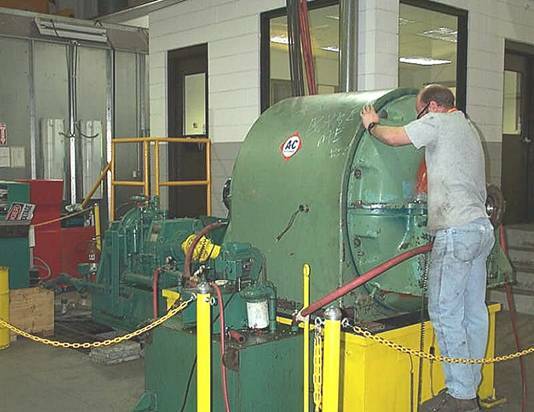 Engineer compares winding data to EASA specs before rewind is performed. 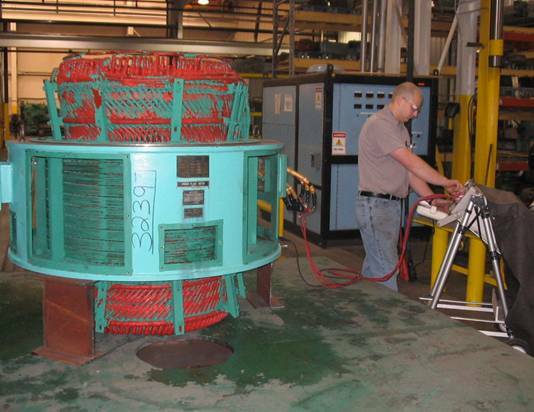 In-House Manufacturing of AC Form Coils up to 7,200 Volts. 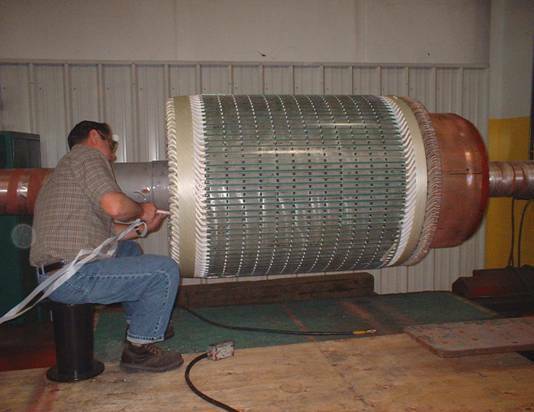 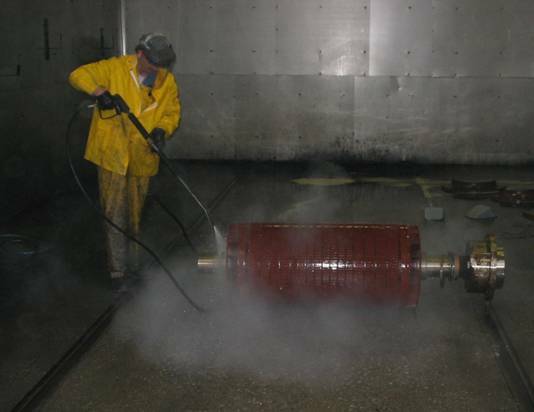 Technician applies finishing touches after winding a new DC coil. 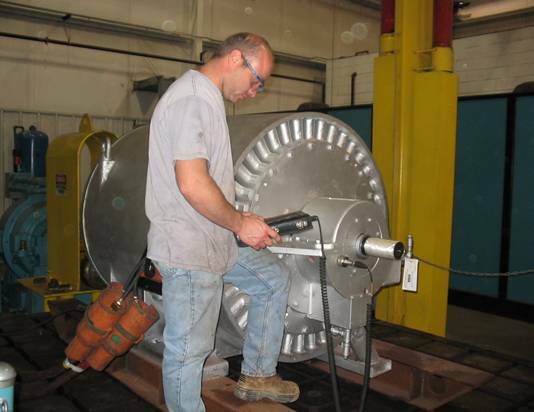 Technician rewinds a GE, 4,000 HP, star punch synchronous rotor. 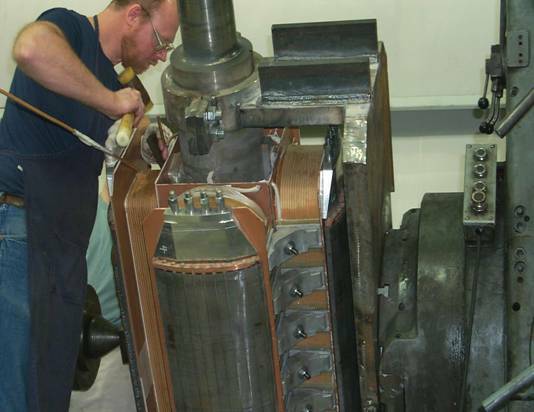 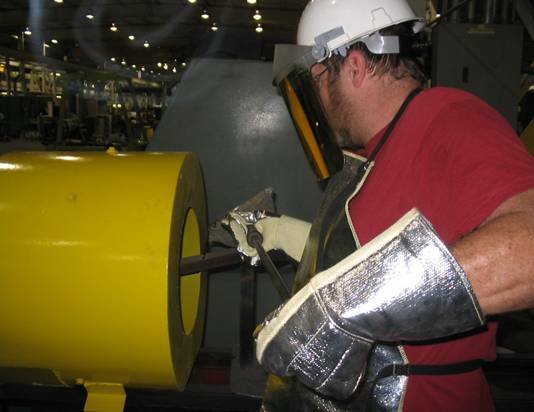 Winding technician installs coils in a 1,500 HP synchronous motor. 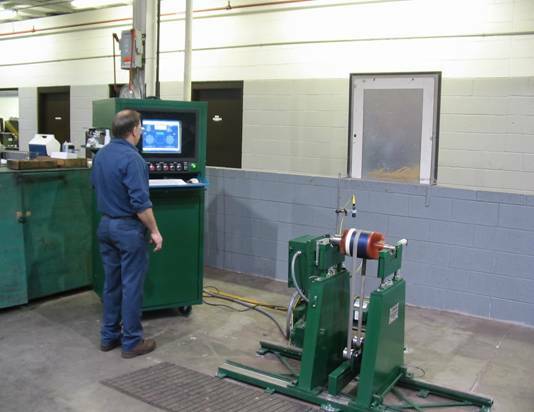 Technician installs equalizer winding on 1,250 HP armature after coils are installed. 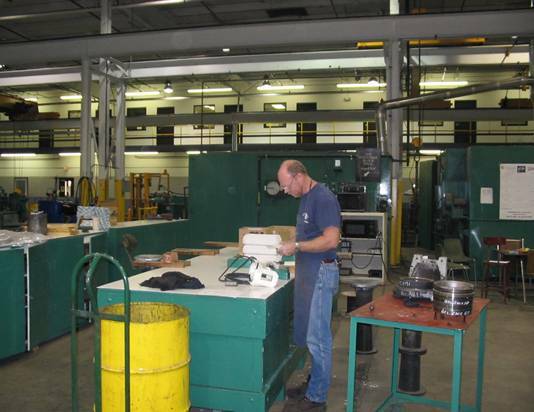 This Two-Foot VPI System is utilized in Bay II, our Support Services Department. 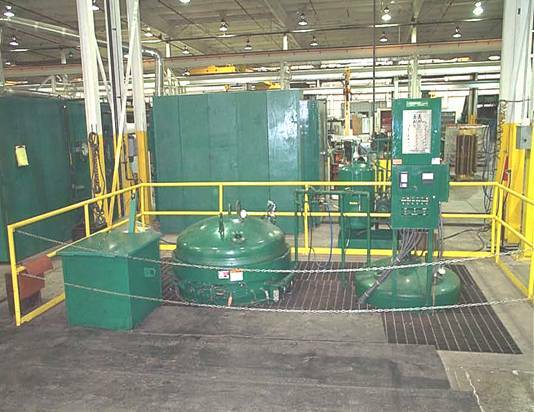 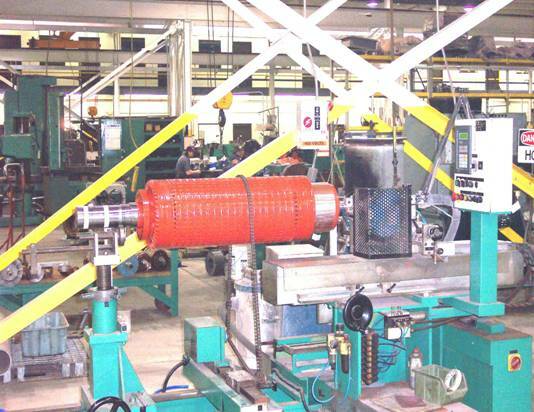 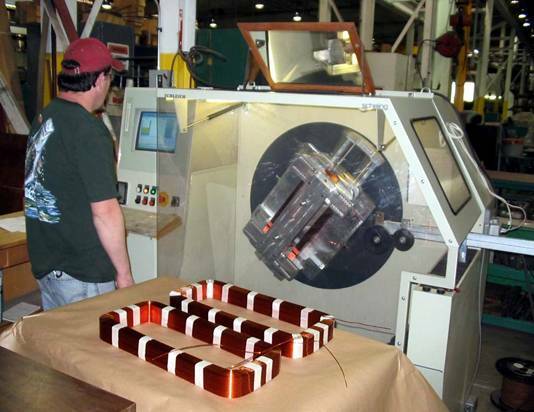 DC field coils that require the VPI process before installation into the field frame are processed through this system. 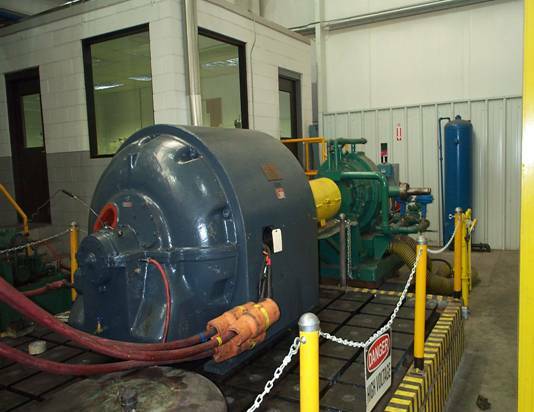 This Five-Foot VPI system is located in Bay I, our Small Motor Department. 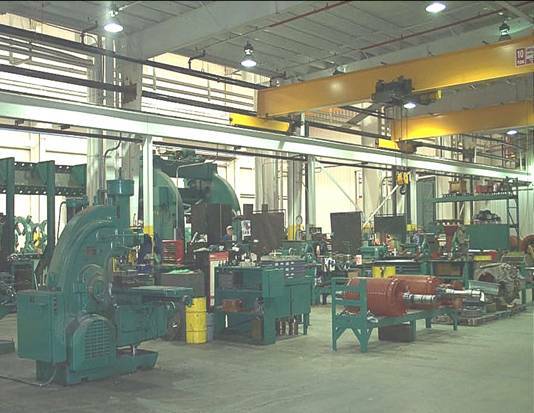 These two, Eight-Foot VPI Systems are located in Bay III, our Medium Motor Department. 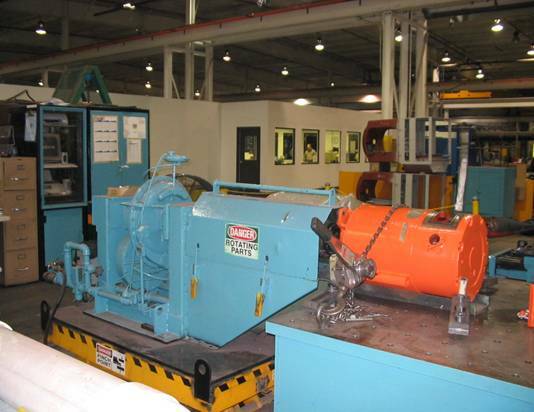 This 12-Foot VPI System is located in Bay IV, our Large Motor Department. 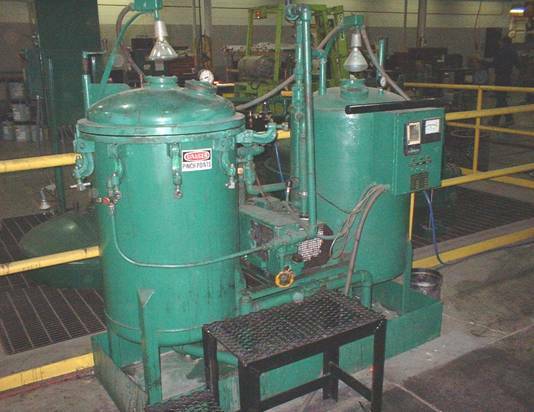 The pressure vessel on this system can handle shaft lengths of up to 23 feet. 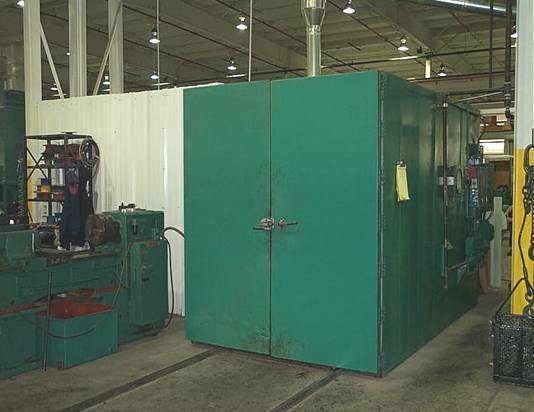 This Six-Foot Bake Oven is located in Bay I, our Small Motor Department. 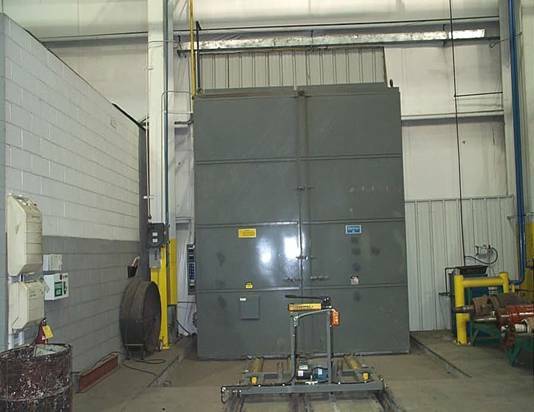 This 12-Foot Bake Oven is one of two bake ovens located in Bay IV, our Large Motor Department. 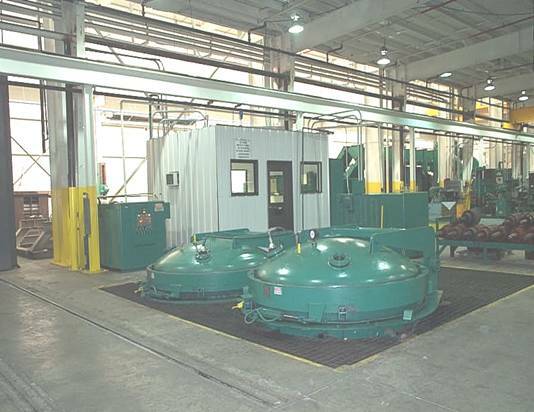 This unit has two doors and services our 12’ VPI and two 8’ VPI systems. 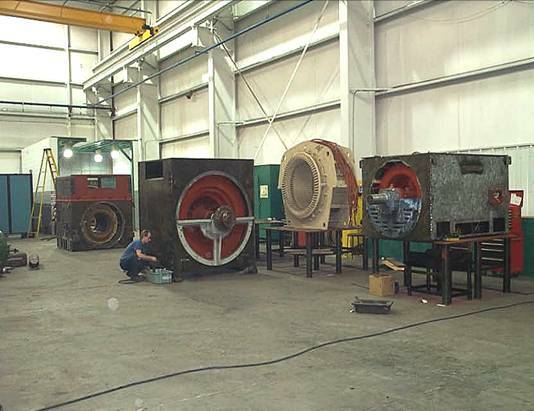 Large Motors Assembly. 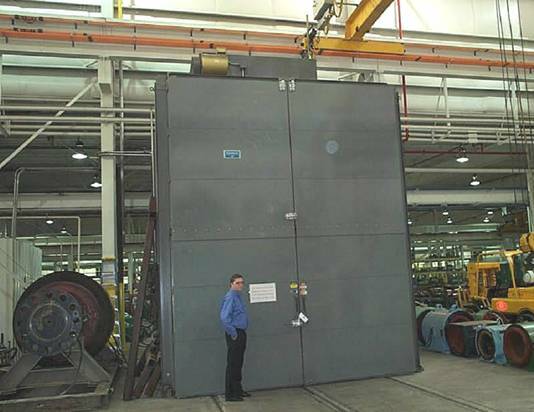 Westinghouse 5,000 HP, 30 RPM DC Field Frame. 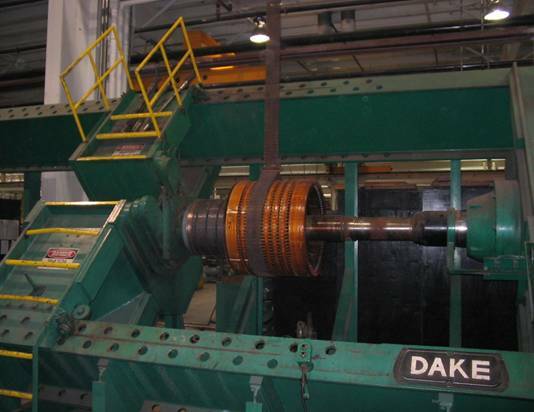 This unit is a roll mill motor from an aluminum plant. 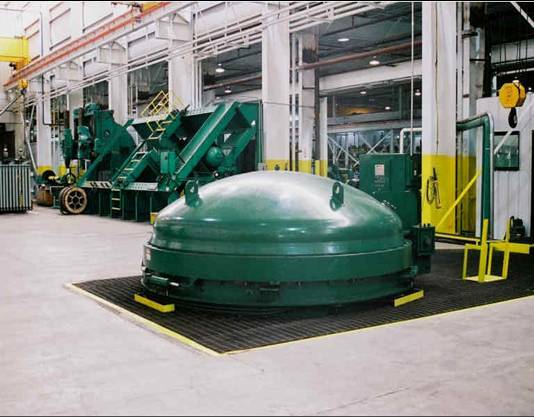 Total weight: 70 Tons. 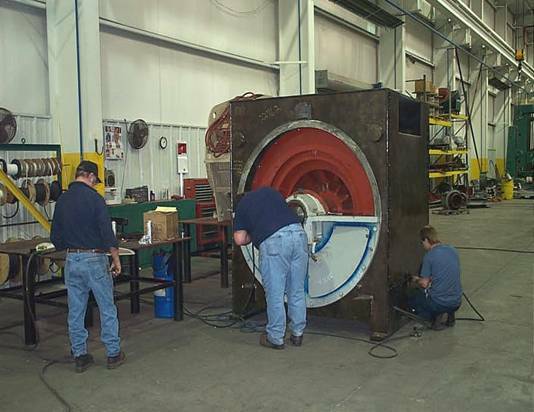 Smith Services workforce assembles a 3,000 HP motor from a power generation plant. 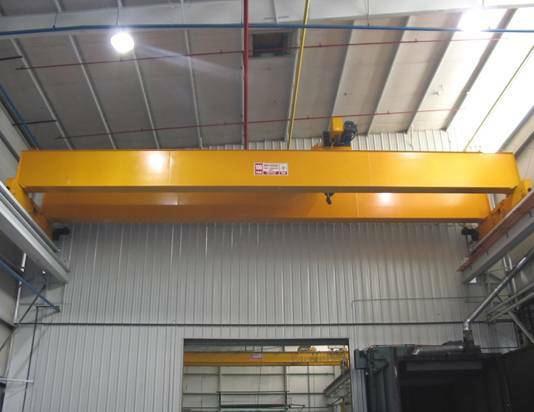 27 Bridge Cranes with up to 100 Tons Lifting Capacity, 42’ under Hook. 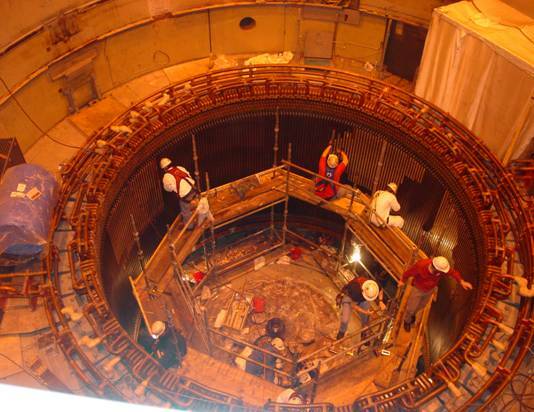 Technician checks vibration prior to load test procedure of Westinghouse 900-HP, 4,000-Volt. 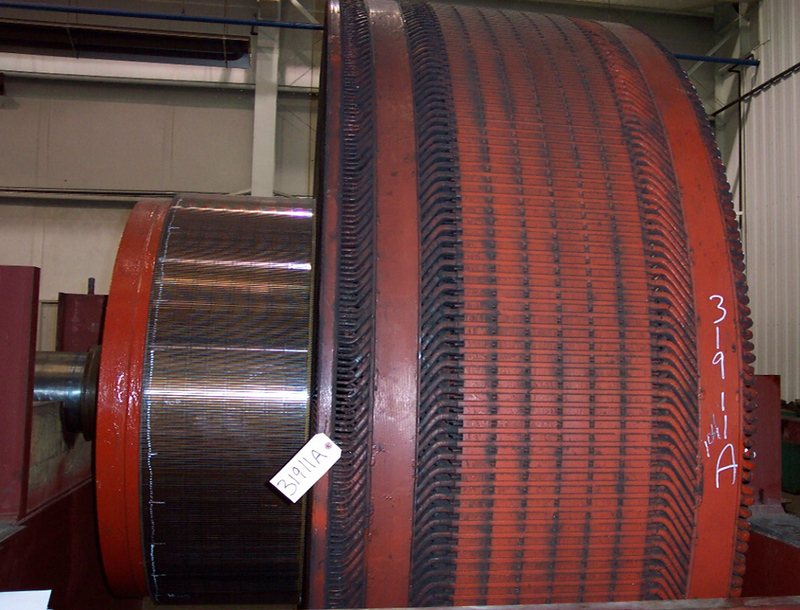 WH 1,750-Horsepower Vertical Motor. 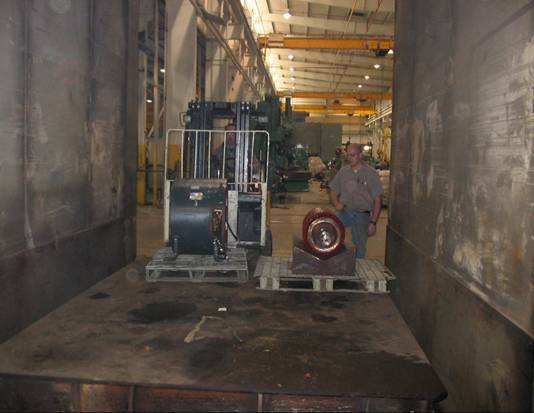 Westinghouse 1,750 HP vertical motor receiving final touches before returning to customer. 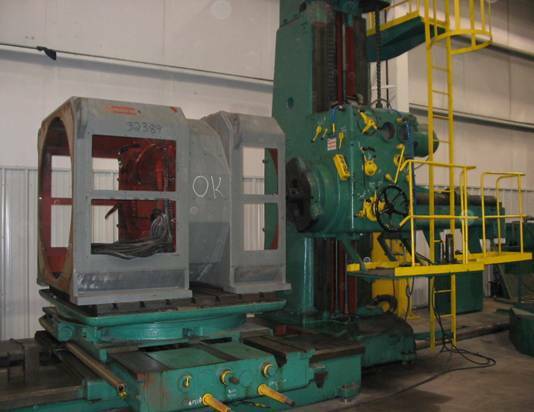 Key Broaching through 20 in. 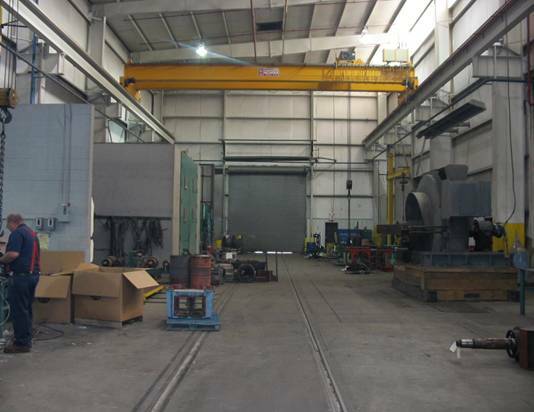 Three Boring Mills through 10 ft.
Four Char Ovens, up to 12 ft.